Pick-up and drop-off by high grade Hire. 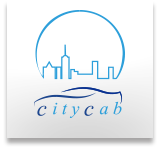 We, Citycab can offer the very secured safe and comfortable space without any stress and anxiety. Please feel free to contact us and inquire any request, question about our service.